Boat trips to Ghent, Benelux Company offers a variety of boat trips for tourists and businesses. Do you like a cruise? Benelux Rederij offers a variety of boat trips, for both tourists and businesses. You can contact us for individual and group tours. Our boats are equipped with a full bar on board and there are delicious fresh dishes every day trip a unique experience. 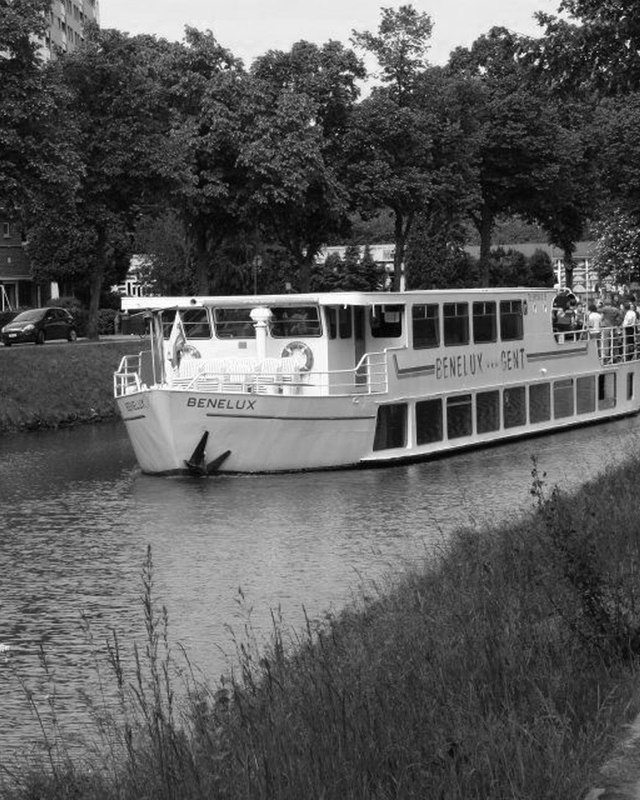 Our Benelux boats can also be hired exclusively for all kinds of events, from weddings to seminars. They are above the ideal venue for your business contacts. Give your party that extra cachet and rent one of our passenger off for your event, success guaranteed! Do not hesitate to contact us for reservation or more information about our activities. We are situated here ! By car? Follow parking P4, P5, P6 or P7 when arrivng in Gehnt. These parking lots are situated at 300m. By public transport? Arrive in Gent Sint-Pieters railway station, take the tram 1 direction Gentbrugge and stop at Korte Meer or take tram 2 direction Melle and stop at Oude Houtlei. We are situated at 250m walk. By coach? Your coach can drop you off and pick you up at Recollettenlei, in front of the boat. Give yourself and your family or friends a Leie Cruise in Ghent as a gift. Enjoy the cozy atmosphere on the most beautiful river in the country. Want to have a good party at a unique location. Then choose our nightly party cruise. Ambiance guaranteed! Are you planning an original company event? A product presentation or a seminar? Invite your business contacts to one of our boats.